Operating margin is one of the popular measure used by the financial industry and it measures how much profit the firm or the company is making on a dollar of revenue or sales, after accounting and paying for the variable costs of production like raw materials and wages, but before accounting and paying for tax or interest. This can also be termed as EBIT. 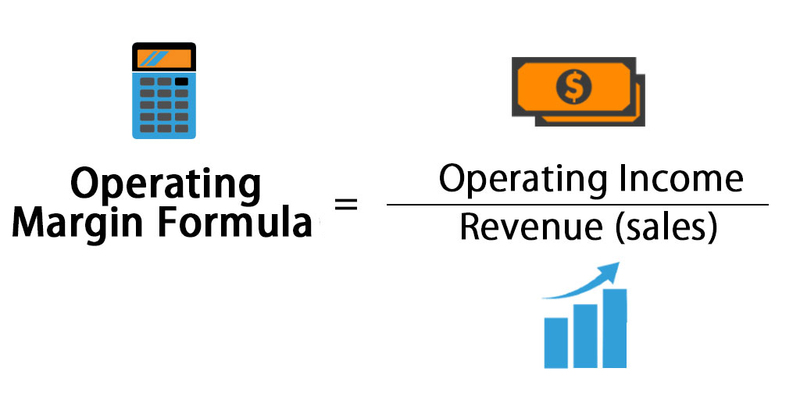 Let’s take an example to understand the calculation of Operating Margin formula in a better manner. Let’s take an example of ABC company and below are the extracts from its income statement. Now to calculate operating profit margin, we first need to calculate two figures i.e. 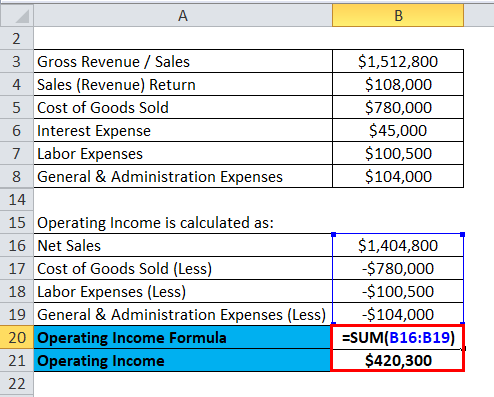 operating income and the revenue or net revenue. NOTE: Interest Expense should not be considered while calculating operating profit. 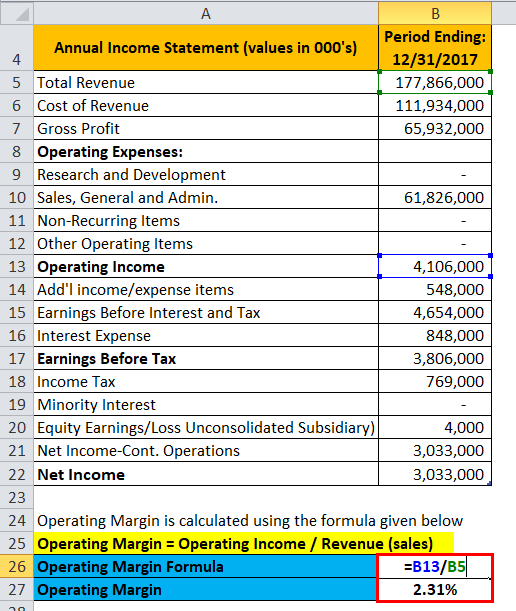 Below is the extract of income statement from the annual report of Amazon Inc. and we will calculate its operating margin by using the formula mentioned above. 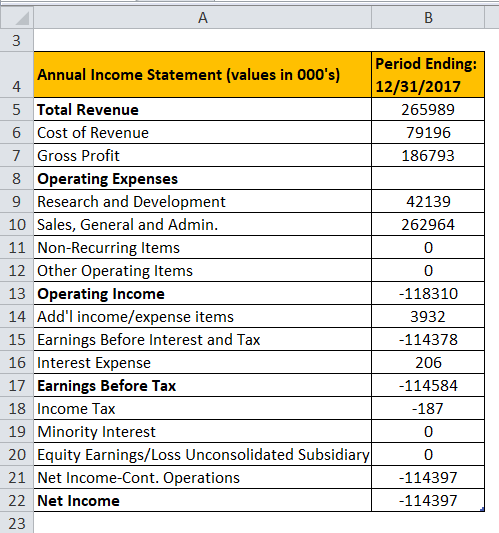 So now we have both the figures which are the operating income which is calculated after accounting for operating expenses and total revenue figure is already provided. 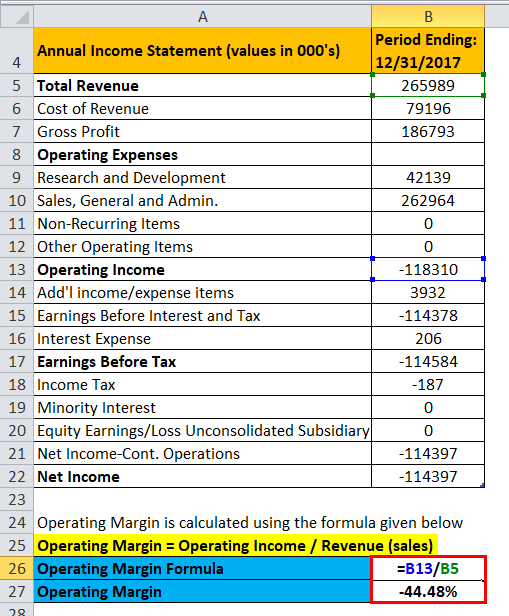 Below is the extract of income statement from the annual report of EXAS Company Financials and we will calculate its operating margin by using the formula mentioned above. 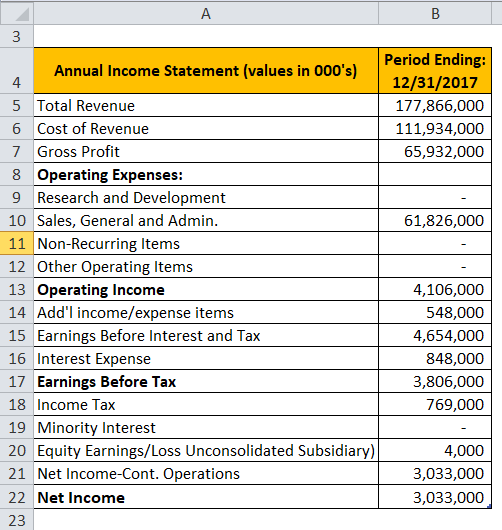 So now here again we have both the figures which are the operating income which is calculated after accounting for operating expenses and total revenue figure is already provided. The interesting thing here to note is that the company is making losses in running its business as the EBIT margin i.e. (Earning Before Interest and Tax) is in negative. Operating income is the profit of the company or the business after all operating expenses are accounted for or are deducted from the revenue or the sales receipts. It will represent how much a company or the firm is making from its core operations, and it will not include other income sources which are not directly related to its core or the main business activities. It is not the same as the net income as in that it will not include the expenses of interest and taxes. This gives a good idea to the creditors and the investors if the firm’s or the company’s main or the core business is profitable or not, before considering any other non-operating expenses. Sales revenue or net sales is the figure which is the monetary amount and the same has been obtained from selling services and goods to the business customers excluding the sales return or the merchandise returned and the allowances or the discounts which are offered to them. This can be realized either as credit sales or the cash sales. So when one takes the operating income and dividing the same by Revenue figure, they will arrive at a figure which will depict how many portions of revenue is the operating profit. A business which can generate the operating profit or operating income rather than operating at a loss gives a positive signal for the existing creditors and potential investors. This would mean that the company’s or the firm’s operating margin will create value for its shareholders and will serve continuous loan to the lenders. The higher the operating margin of the company, the lesser the financial risk it has when compared with a lower ratio. Since the operating profit or the operating margin helps in finding out how much of the profit has the companies or the firm has made from its main or the core operations, which ensures profitability and efficiency. And that’s the main reason that operating margin is one of the most significant profitability ratios among all. 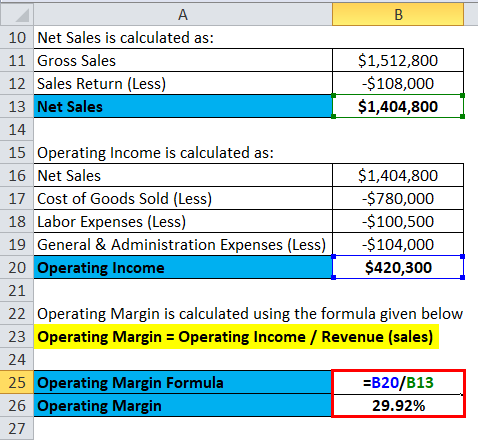 You can use the following Operating Margin Calculator. 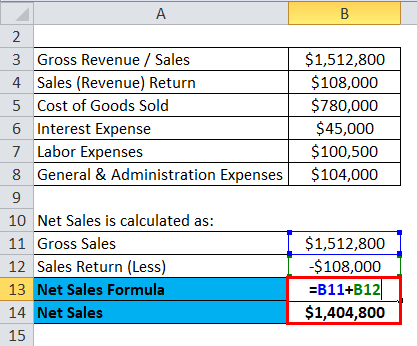 How to CalculatePrice Elasticity of Demand?